Album mastered at CBS Studios, London. 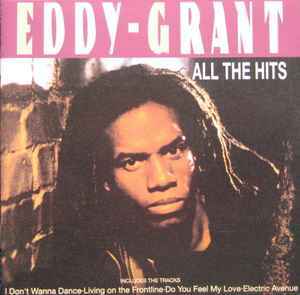 Eddy Grant's songs are exclusively published by Greenheart Music/Intersong Music Ltd.
13 ℗ 1977 Ice Records Ltd.
1 & 5 ℗ 1979 Ice Records Ltd.
4, 6, 11 & 12 ℗ 1981 Ice Records Ltd.
7, 9 & 10 ℗ 1982 Ice Records Ltd.
14 ℗ 1983 Ice Records Ltd.
2, 3 & 8 ℗ 1984 Ice Records Ltd.
℗ 1979 Ice Records Ltd.
℗ & © 1996 Polydor Gmbh, Hamburg. Made in Germany by PMDC.